Chaste tree berries have a long-standing traditional use for relieving menstrual problems and for stimulating production of breast milk. 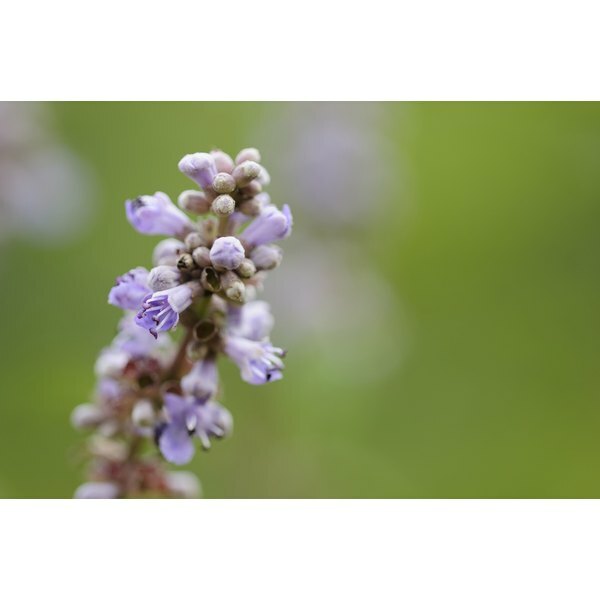 Chasteberry, with the botanical name Vitex agnus-castus, theoretically may be beneficial for certain types of acne as well. The National Center for Complementary and Alternative Medicine (NCCAM) notes that good research is lacking to confirm the usefulness of chasteberry for any health conditions. Consult with a qualified health care provider before beginning herbal therapy for acne. Chasteberry is most commonly used for problems associated with women's reproductive systems. It may relieve symptoms of premenstrual syndrome, breast pain and menopause, and also may be helpful for some types of infertility, but related studies have been small or flawed, according to the NCCAM. The University of Michigan Health System cites one study in which women taking 20 mg of a Vitex extract per day experienced a significant reduction in PMS symptoms, and notes preliminary support that the plant may help women with irregular periods or infertility. Some women use chaste tree berry for acne associated with the menstrual cycle. One small study indicates that Vitex agnus-castus may reduce acne related to PMS, according to the UMHS. Chaste tree berry may be beneficial for women with polycystic ovary syndrome, a condition which can cause acne along with the more serious effects of weight gain, diabetes, infertility and recurrent miscarriages, explains nutritional therapist Marilyn Glenville. Chasteberry is available in liquid extracts and dried extracts in capsules and tablets, all made from dried ripe chasteberry. Commission E, the German regulatory agency for herbal remedies, recommends taking 30 to 40 mg daily, according to the UMHS. It usually is taken once in the morning with liquid. Because its potential benefits are associated with long-term balancing of a woman's hormonal system, chaste tree berry is not fast-acting, according to the UMHS. For acne and other symptoms of premenstrual syndrome, or to relieve heavy or frequent menstruation, women may use Vitex agnus-castus supplements continuously for up to six months to obtain results. Chaste tree berry is not linked to serious side effects, according to the NCCAM. It may cause gastrointestinal problems and dizziness. Although some women use Vitex agnus-castus to treat acne, it actually can cause acne-like rashes as a side effect. Chasteberry does not contain hormones, but its actions on the pituitary gland can affect hormone levels. Pregnant women and those taking birth control pills or who have a hormone-related health condition should not use this supplement. Additionally, chasteberry may affect dopamine levels in the brain, so people taking Parkinson's disease medications and other drugs that affect dopamine levels should not take chaste tree berry supplements.